This hall is available to returning students and incoming transfer students. 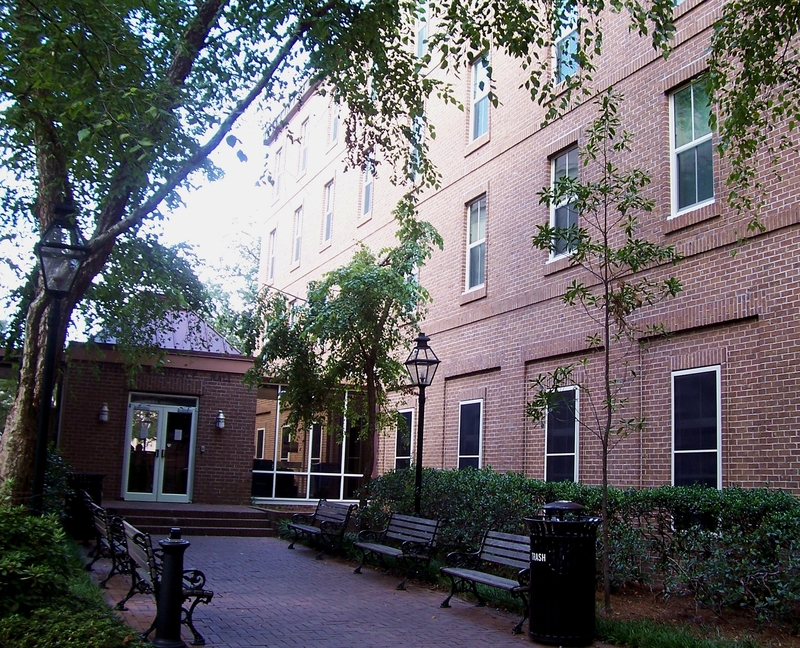 Rutledge Rivers is a four-story building housing approximately 109 students in suites. Each newly renovated suite offers a furnished living area and kitchenette with two-burner induction stovetop, sink and full-size refrigerator. Rutledge Rivers is co-ed and features 5 and 6 person suites with both single and double occupancy rooms. The building is air conditioned, features a large common kitchen and living space on the ground floor, and free laundry. Rutledge Rivers is also equipped with IPTV and Wi-Fi. Bedroom dimensions may vary but a typical double room is 10’6” wide x 10’9” deep. A typical single room is 7’3” wide x 10’9” deep. The aisle between the beds in typical single and double rooms is 4’ wide, meaning a typical 4’x6’ area rug would fit. Since typical bedroom doors swing outward runner up to 10’ long would also work. Beds are in a stationary lofted position with a ladder and guardrail and cannot be adjusted. The clearance from the floor to the underside of the bed is about 64”. These beds accept "twin-long" sheets. Typical rooms do not have closets or wardrobes. An open hanging space that is 36” wide is located in the 64” high open space under each bed. Meet the Rutledge Rivers Staff!